Hacker Loktar_Sun has discovered how to easily unlock your iPhone 4S—and any other iPhone. The unlock will free you from your carrier's tyranny, which is great news, especially while traveling or switching companies. We have tested it and it works. IMPORTANT: Before starting, make sure to have the latest iTunes. This process should be painless and easy but, like with every other unlock, proceed at your own risk. Go to Cydia and add repo.bingner.com as one of your app repositories. Search for Sam Bingner's SAM package and install it. Go to utilities. Select De-Activate iPhone. Make sure your iPhone is deactivated under More Information. Click on By Country and Carrier in Method. 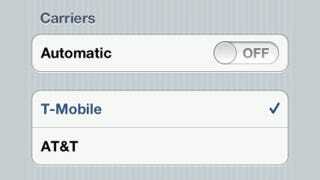 Then select your carrier. Click on More Information again. Copy your IMSI (International Mobile Subscriber Identity) in SAM Details. Click on Spoof Real SIM to SAM. Go to the main SAM menu and change the Method to manual. Paste the IMSI in the field. Connect the iPhone to iTunes. It will reactivate your iPhone. Disconnect your iPhone when done and quit iTunes. Disable SAM in the SAMPrefs app. Connect your iPhone to the computer. iTunes will start up and tell you it can't activate the iPhone. Close iTunes and open it again. This time, iTunes will activate your iPhone and it will be unlocked! You will be able to turn off your phone and do whatever you want. The unlock will keep working, at least until Apple releases its usual countermeasures in a firmware update.